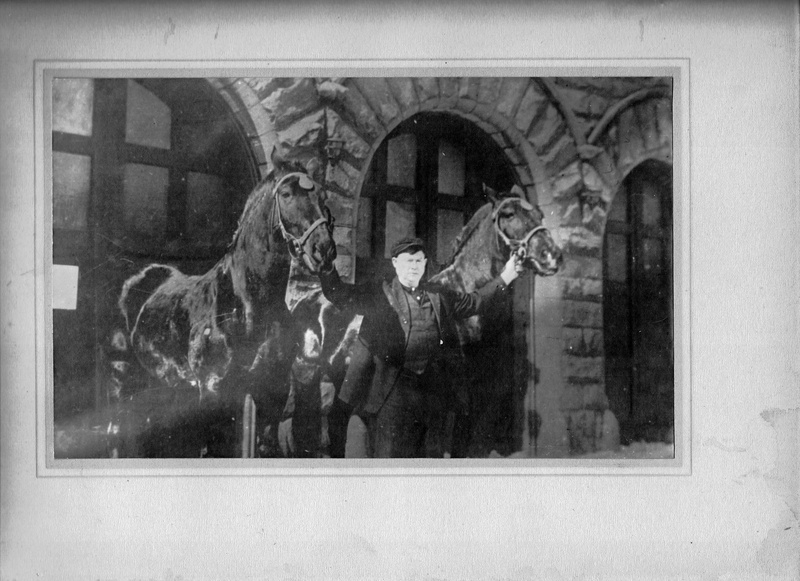 Jerry Sullivan, Fire Station Teamster proudly showing two of the Village of Red Jacket's (now Calumet) Fire Stations eight horses. Jerry became the first driver of the 1919 American LaFrance Fire Truck when it arrived in December 1919. The first motor vehicle for firefighting in the Copper Country. It and its twin purchased by the C & H Mining Company have been restored and are on display in the Museum.